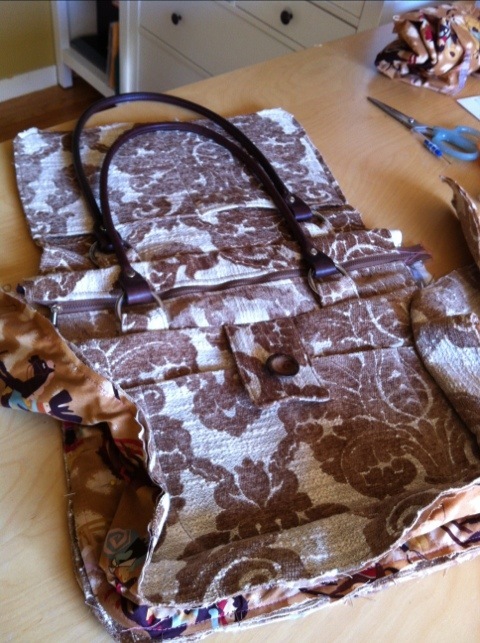 I can’t wait to see the finished bag! I’ve got three pairs of wool pants that belonged to my late mother. My niece asked me to make a bag from them so I’ve been looking for ideas. I like the looks of yours so far! I am almost done! I need to do the finishing touches!